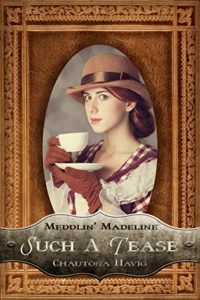 Such A Tease by Chautona Havig is a Christian historical mystery. 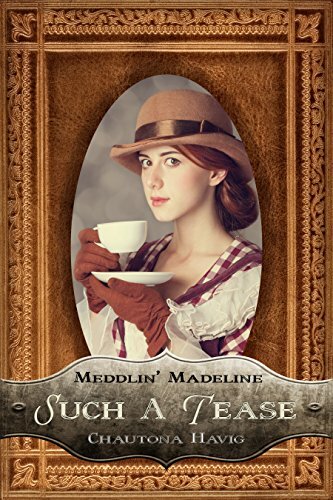 It is the second book in the Meddlin’ Madeline series but can be read as a stand-alone. I very much enjoyed Such A Tease. It was an amusing read as the main character attempted to turn amateur sleuth. Very much reminiscent of Agatha Christie’s Miss Marple, Chautona Havig’s Madeline investigated crimes with an air of innocence. Her light heartedness, whilst being a deep thinker and problem solver was endearing. Madeline was a very modern woman for her time. She was independent and refused to be confined to a woman’s role of the time. I loved the way Chautona Havig included what characters were thinking. It enabled the reader to really get to know them all.